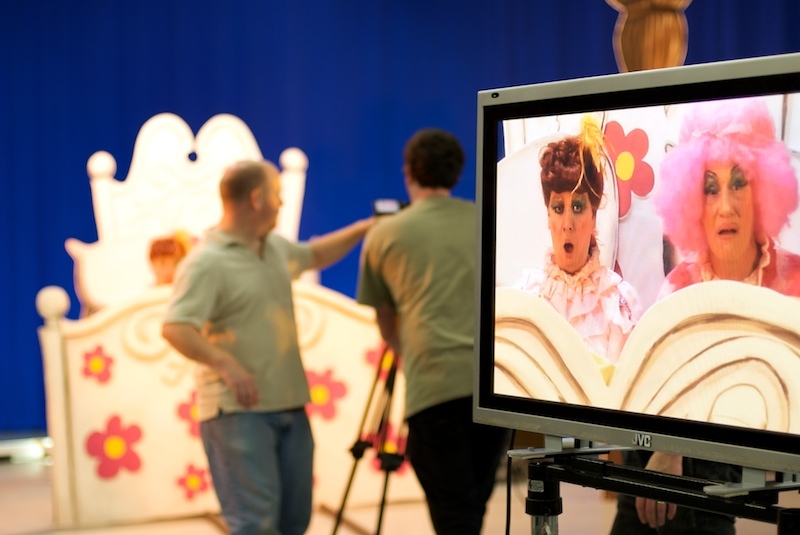 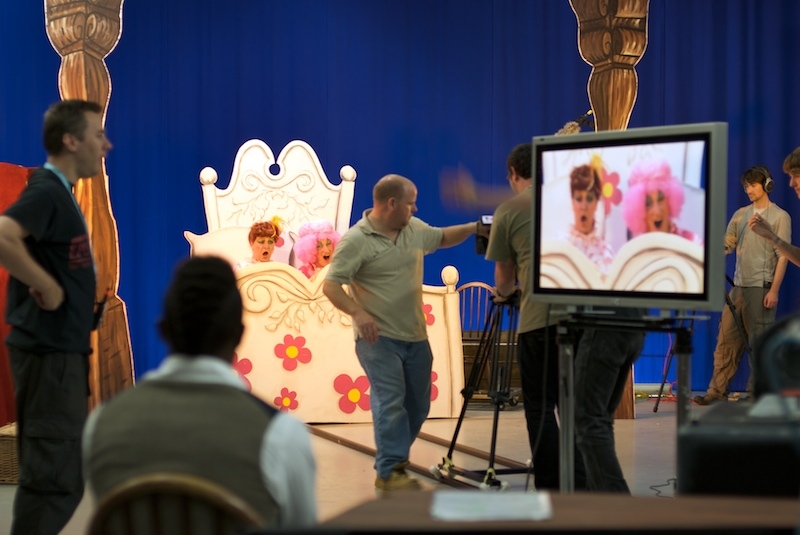 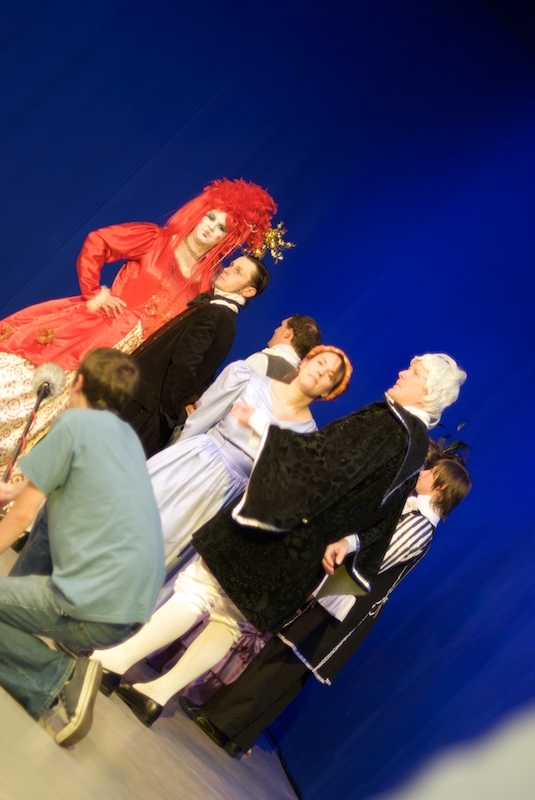 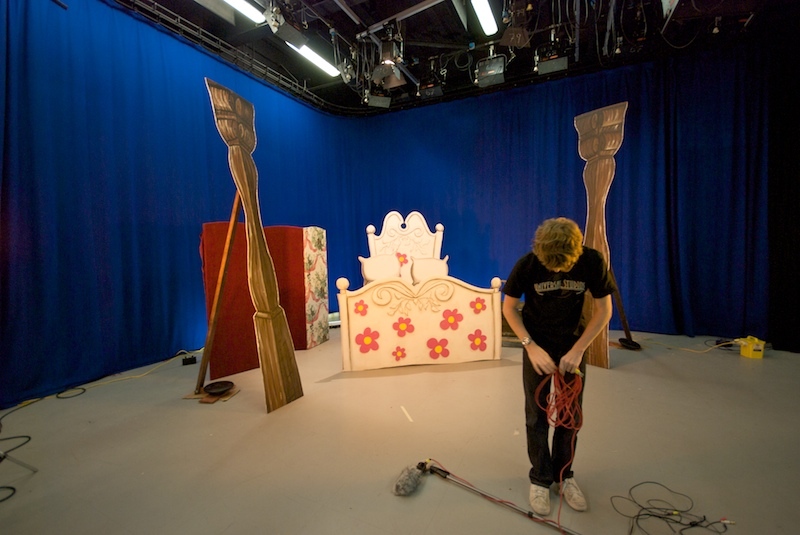 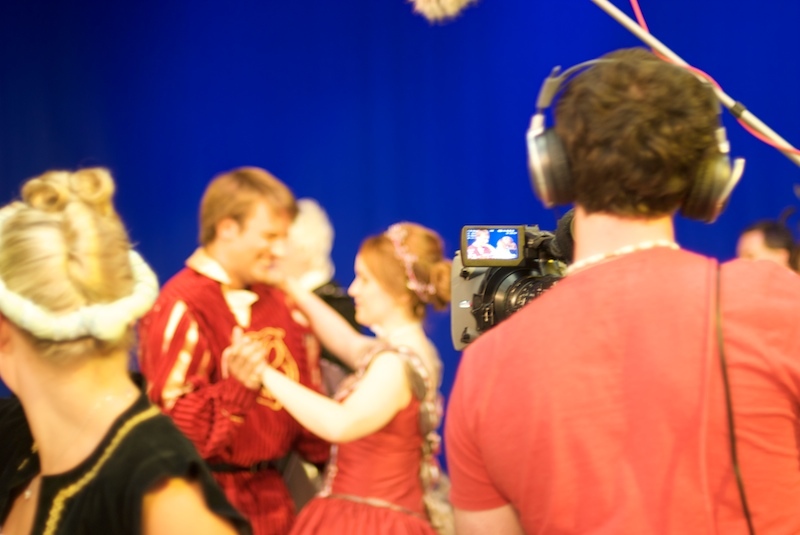 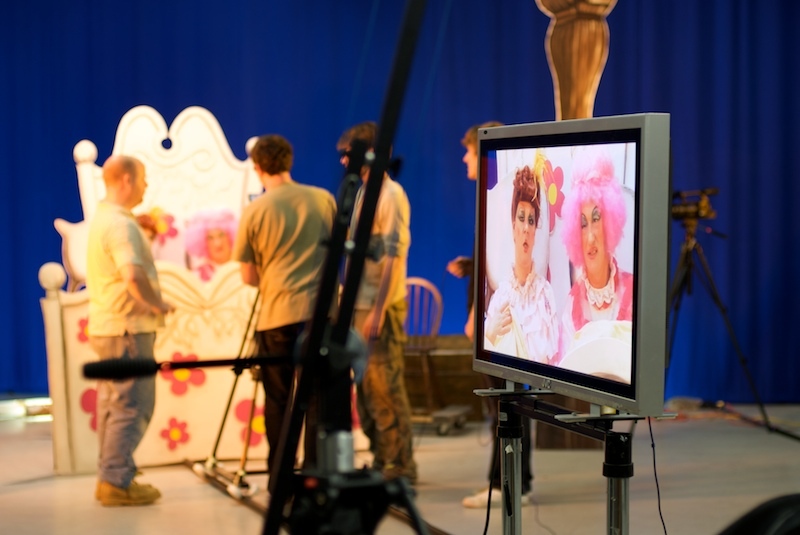 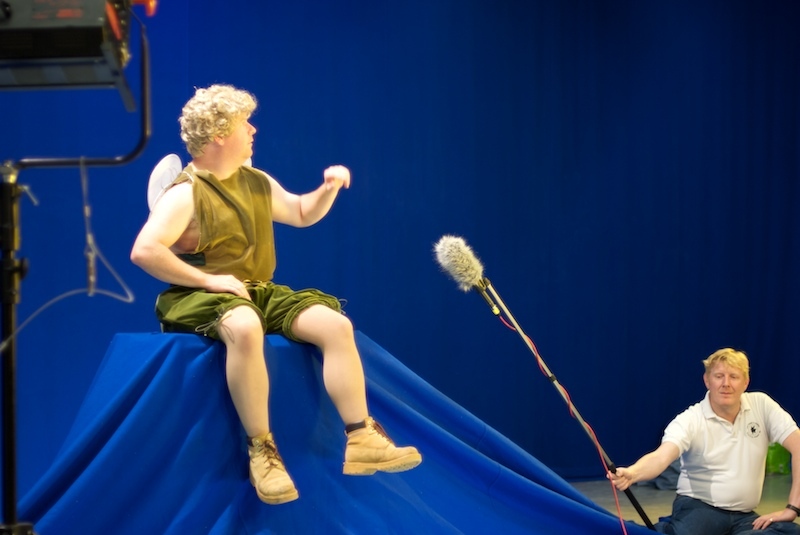 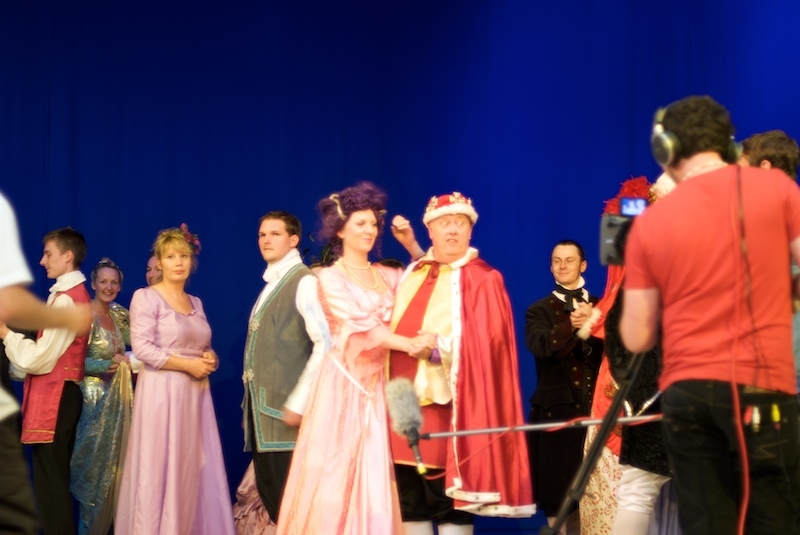 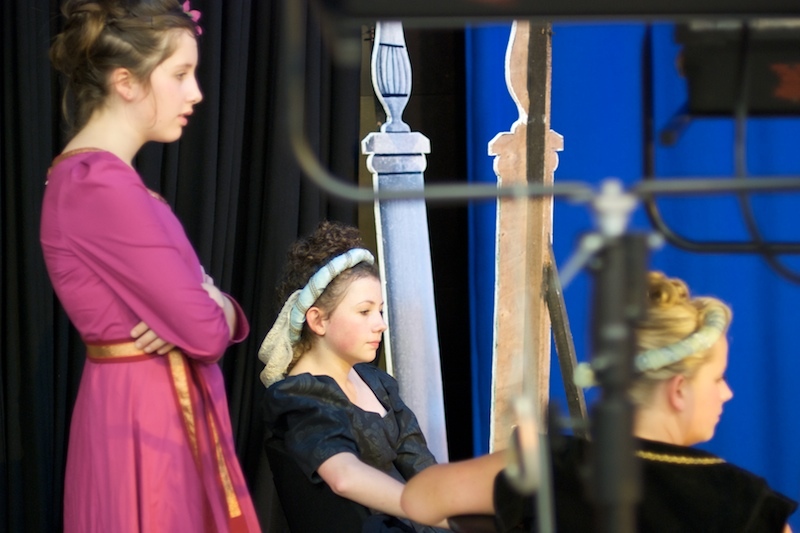 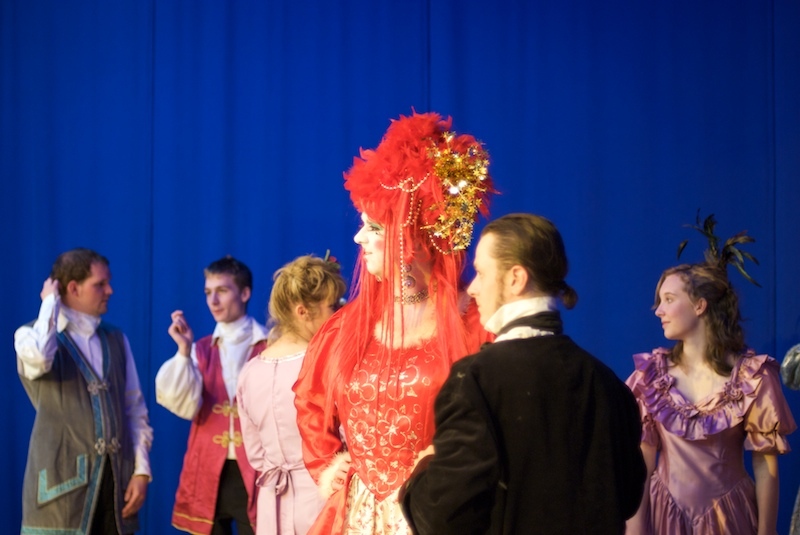 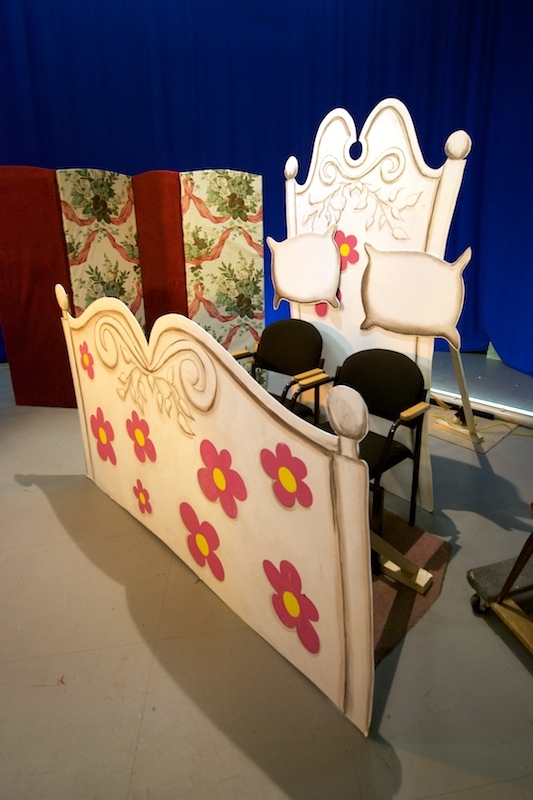 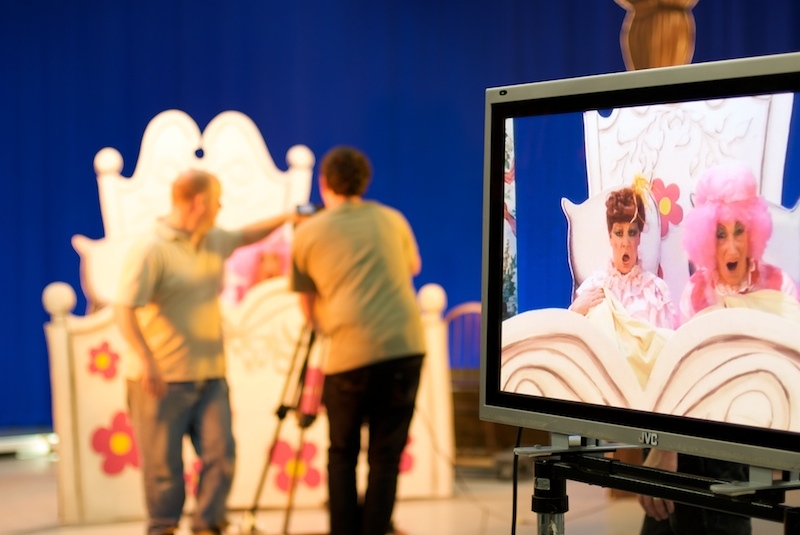 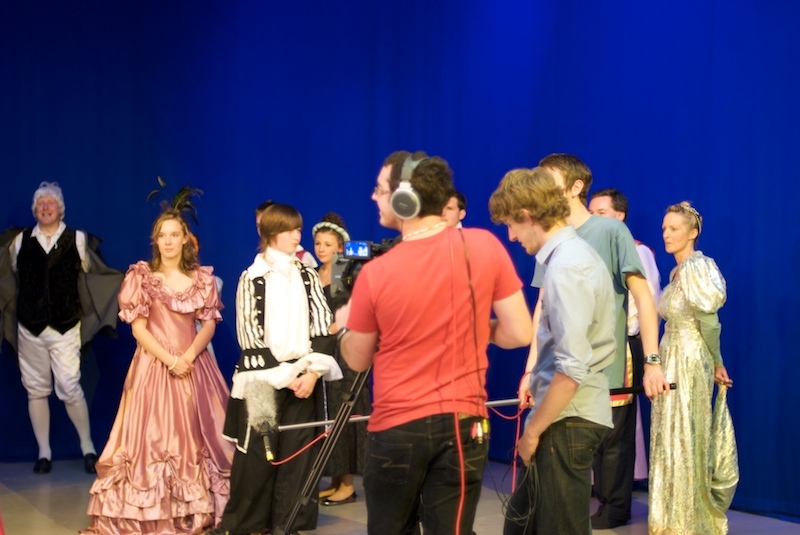 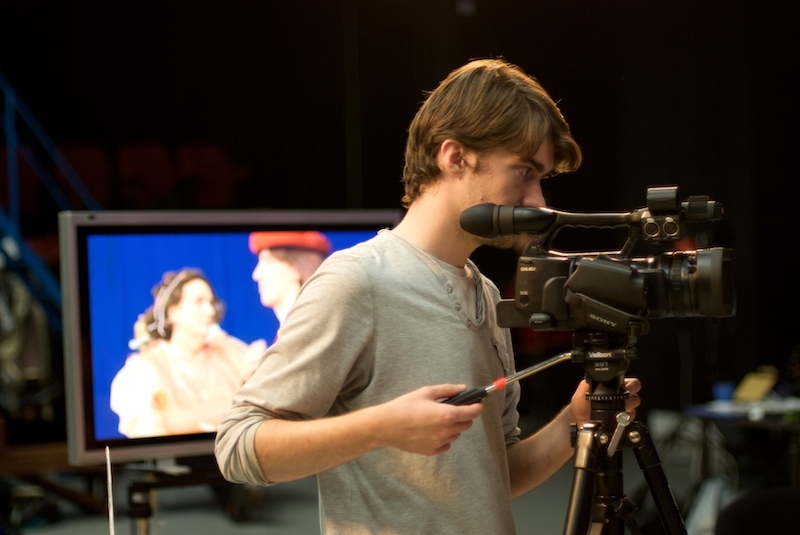 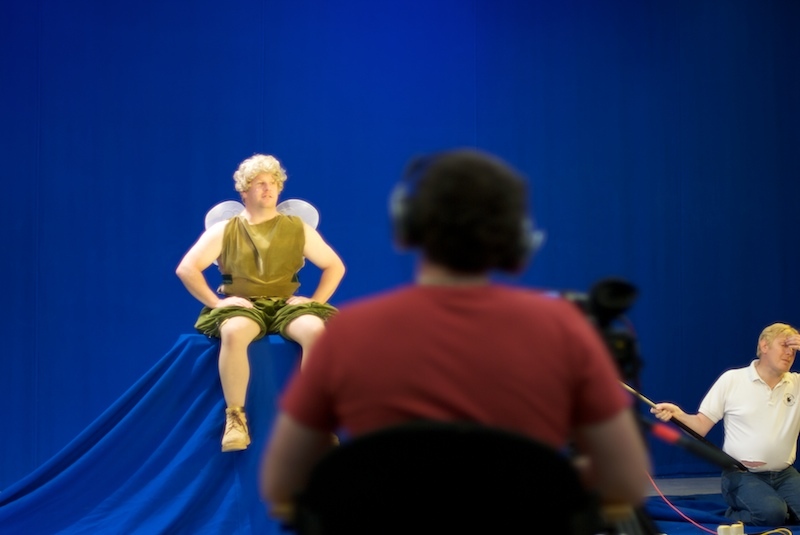 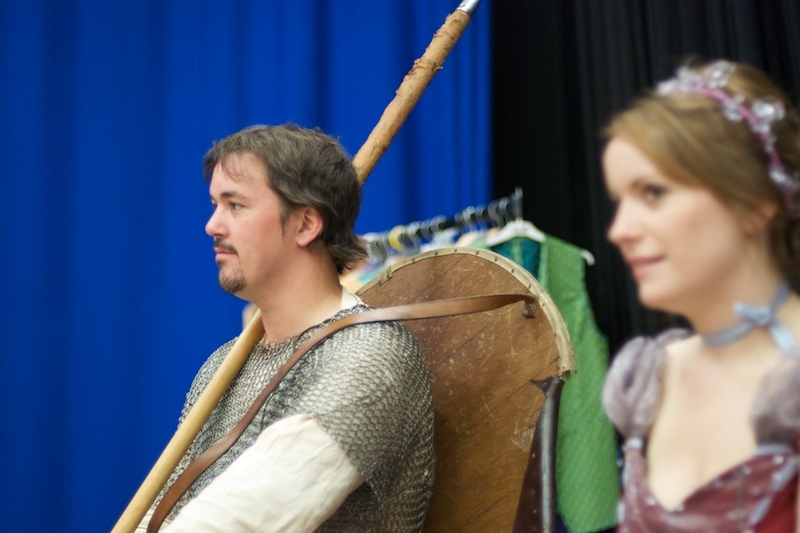 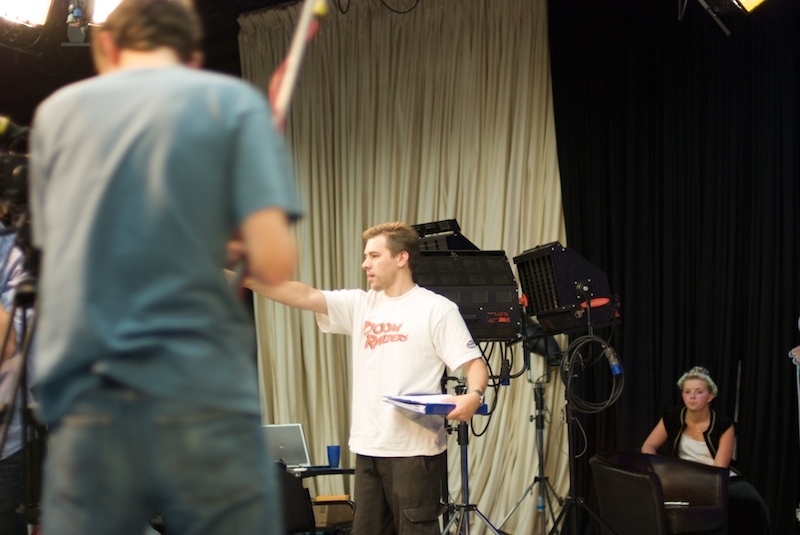 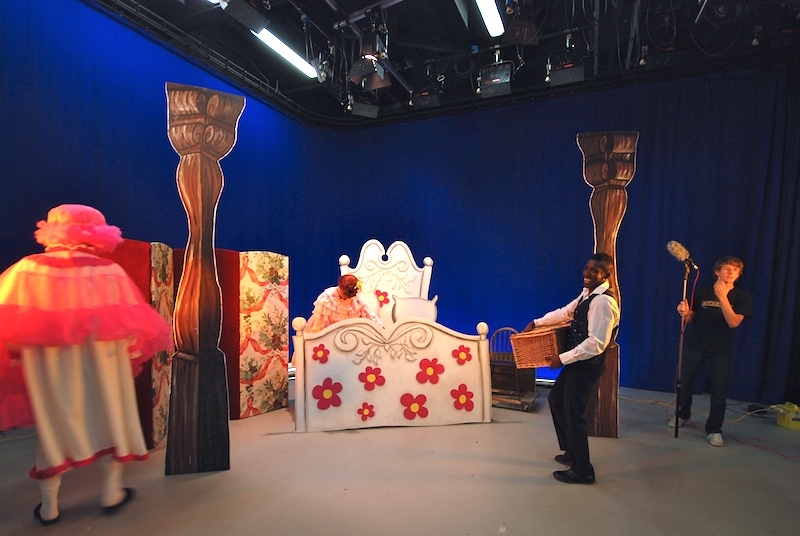 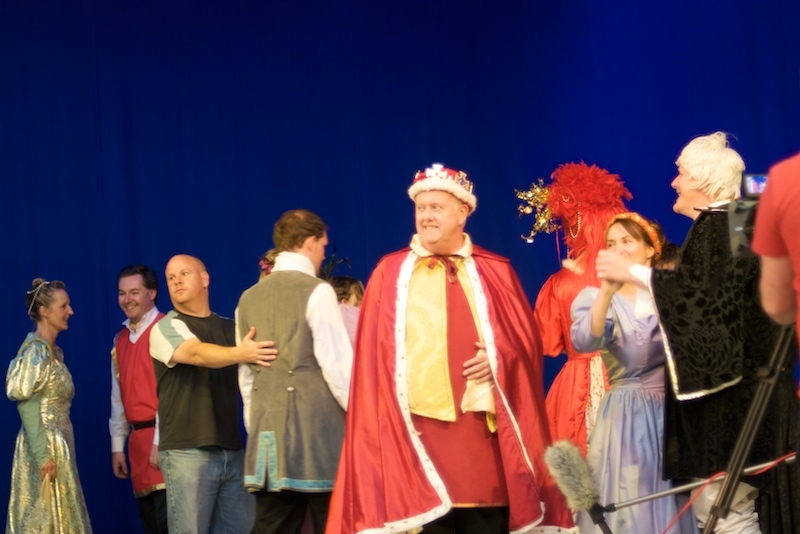 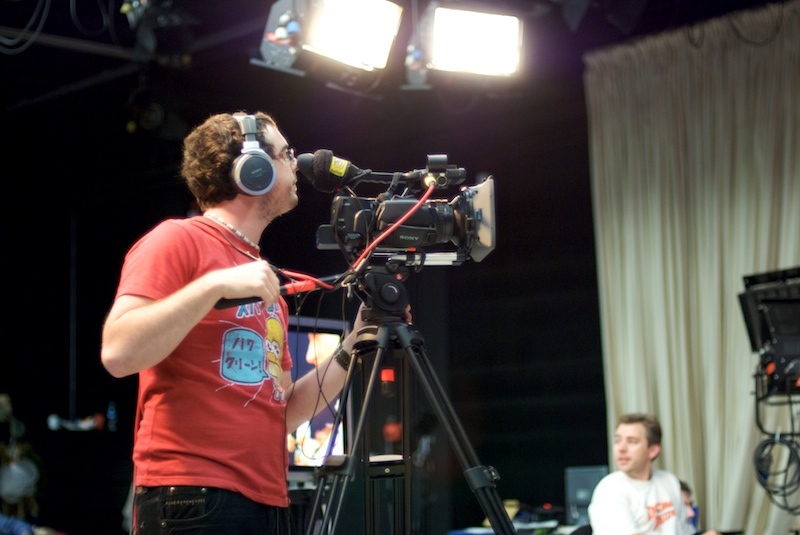 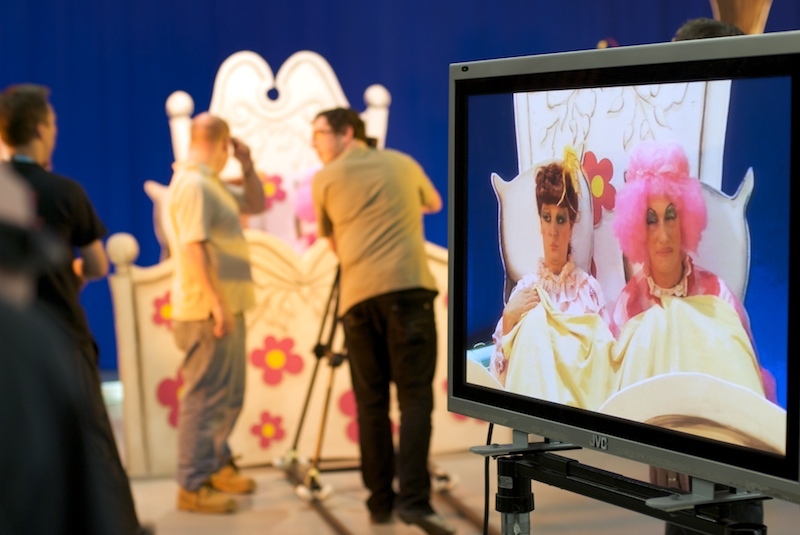 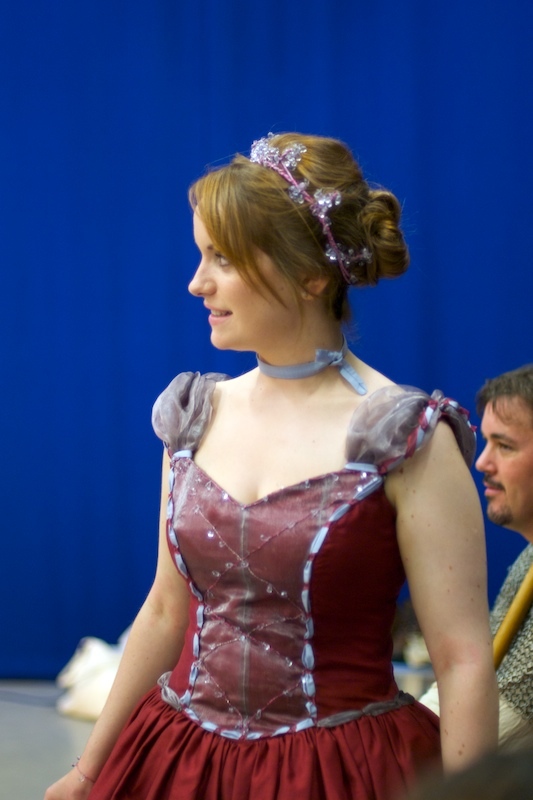 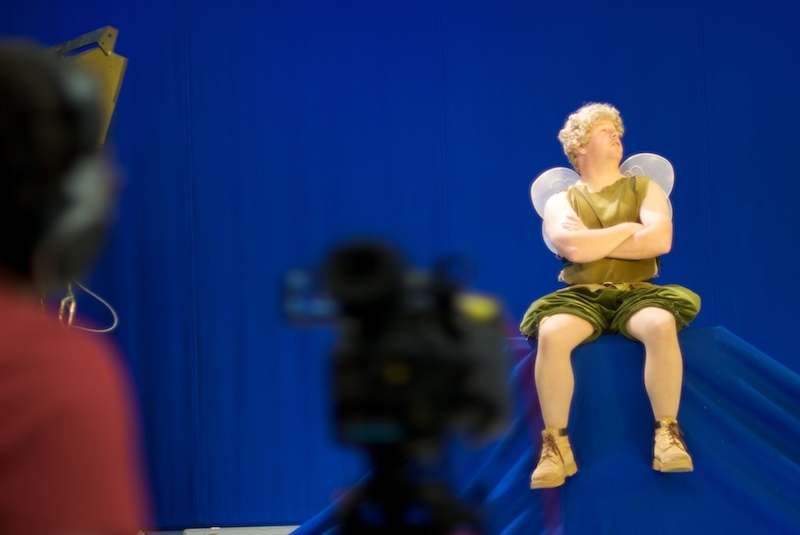 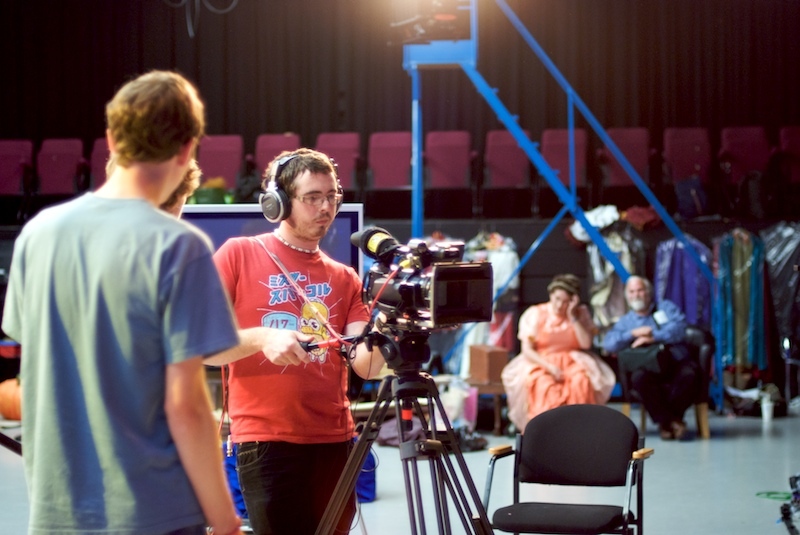 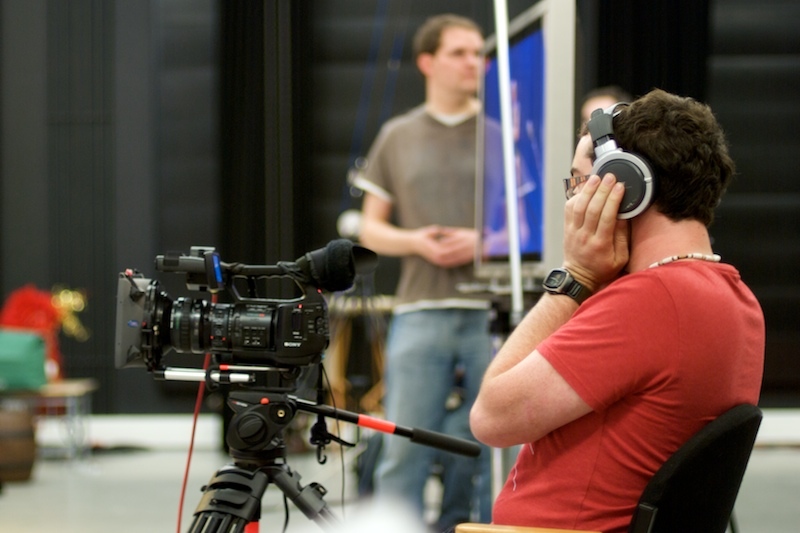 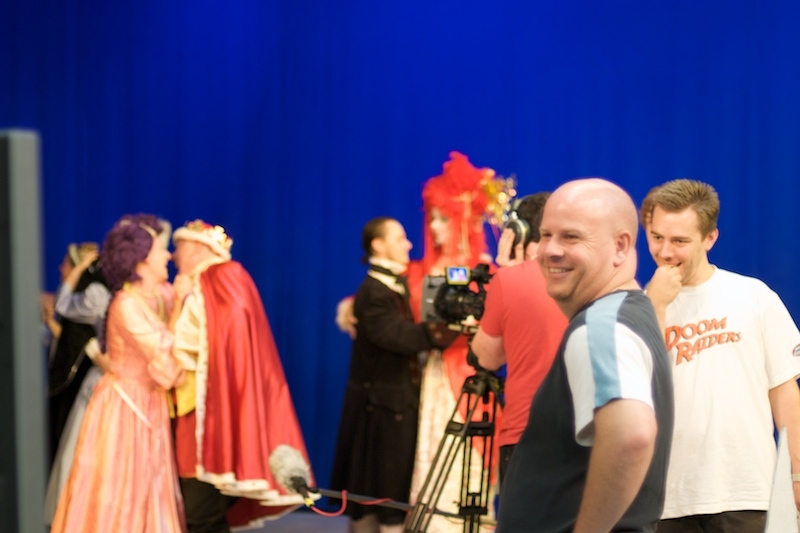 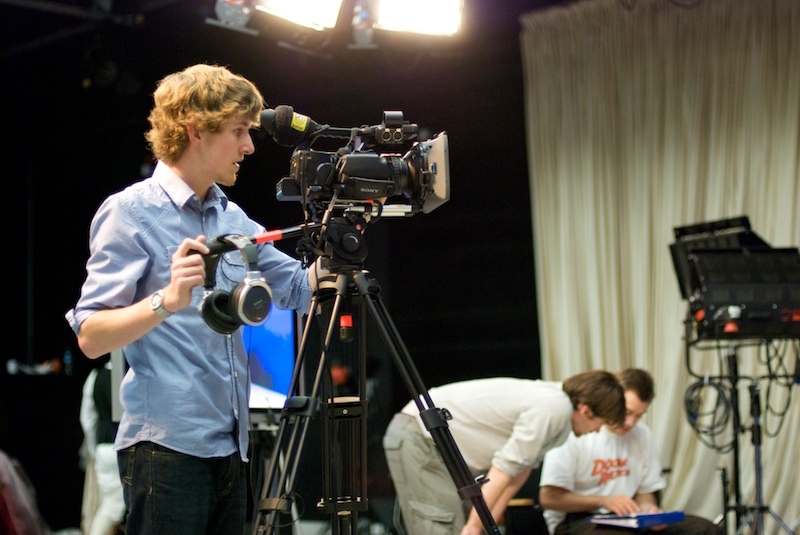 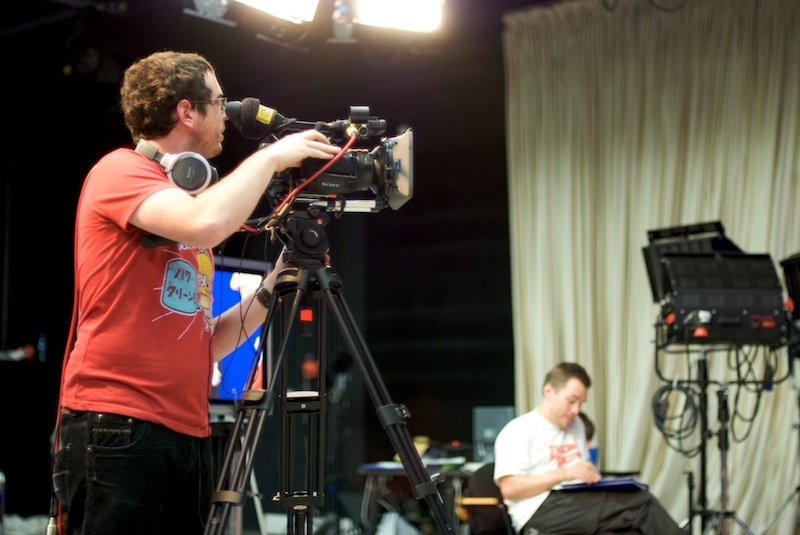 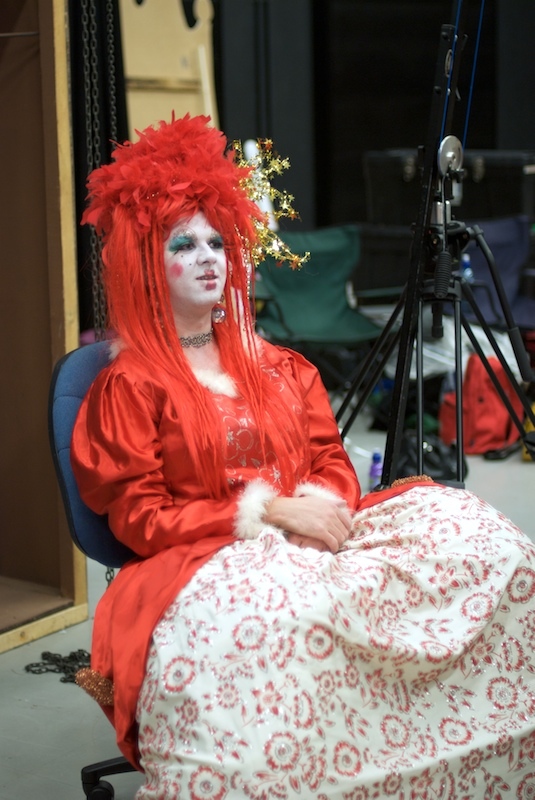 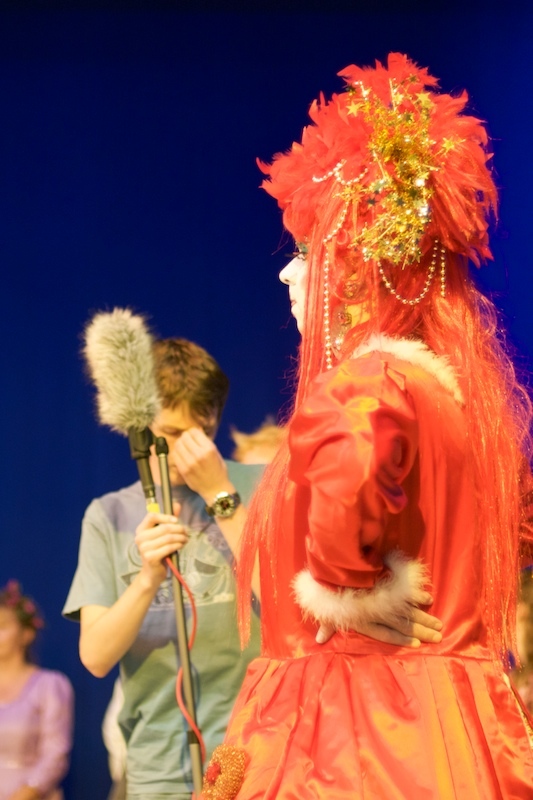 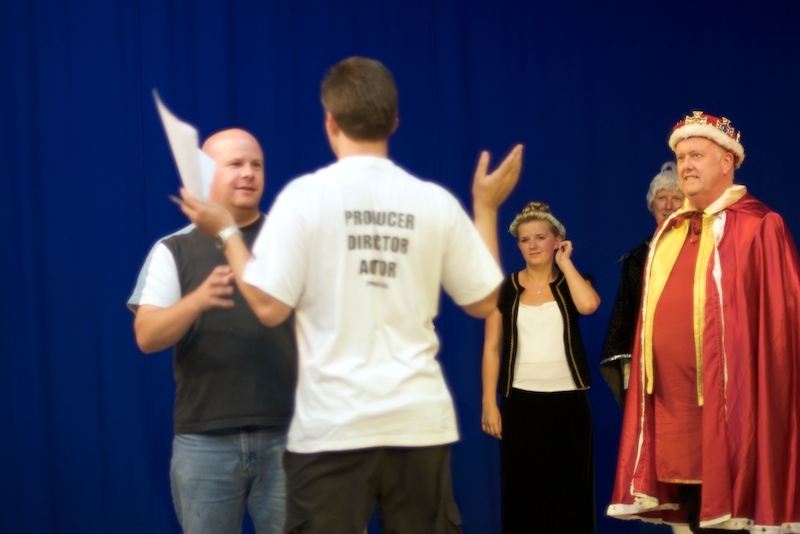 Backyard Productions were fortunate to have the use of the University of Lincoln’s TV studio to film some of the interior and exterior bluescreen work for the Cinders trailer. 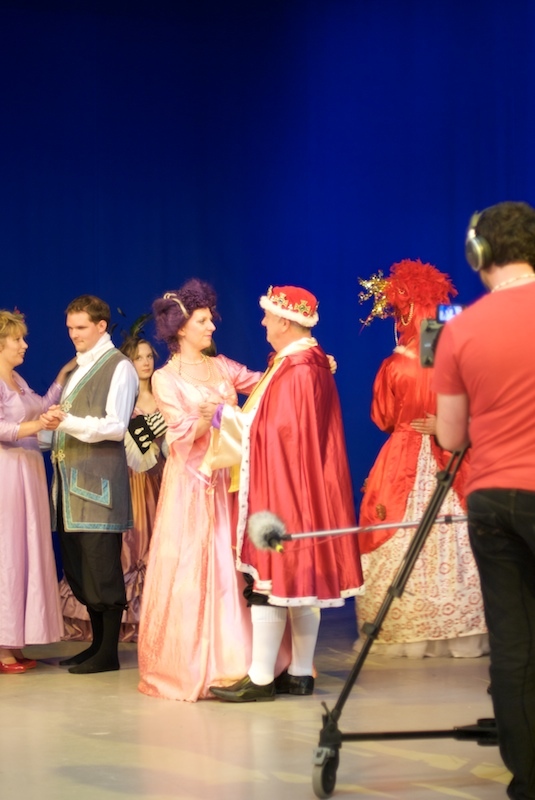 A new experience for many, we had a very productive three days at the end of August. 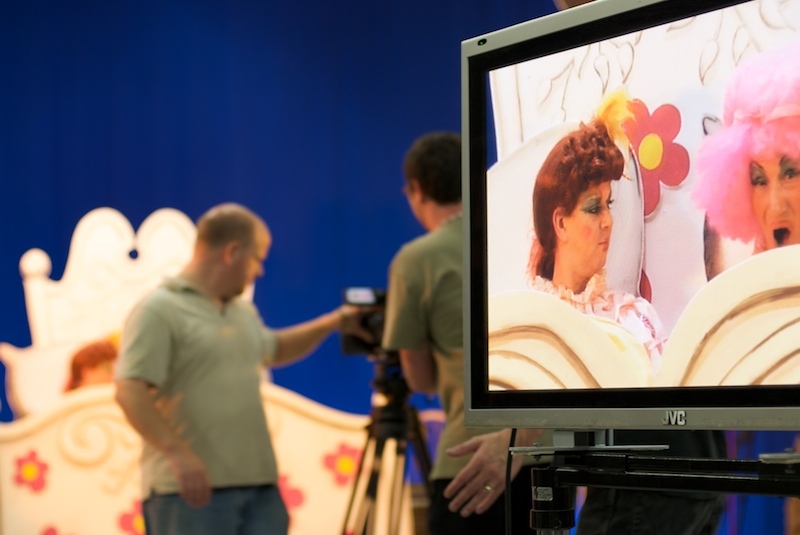 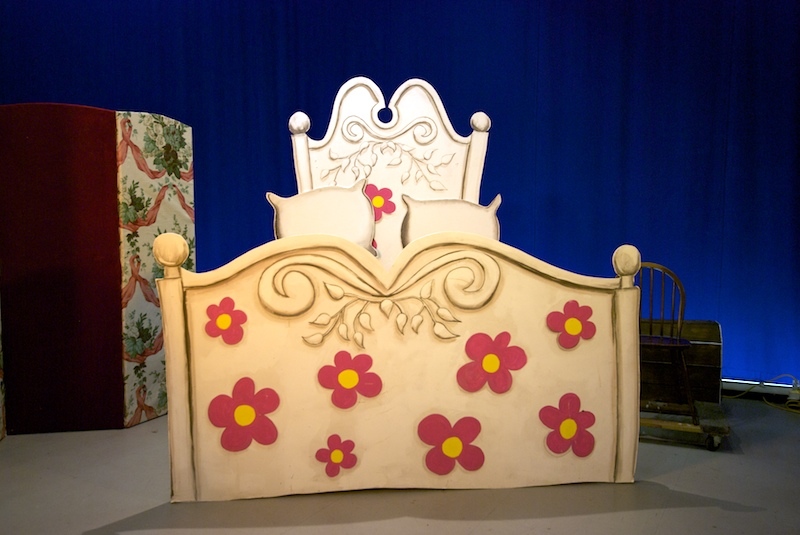 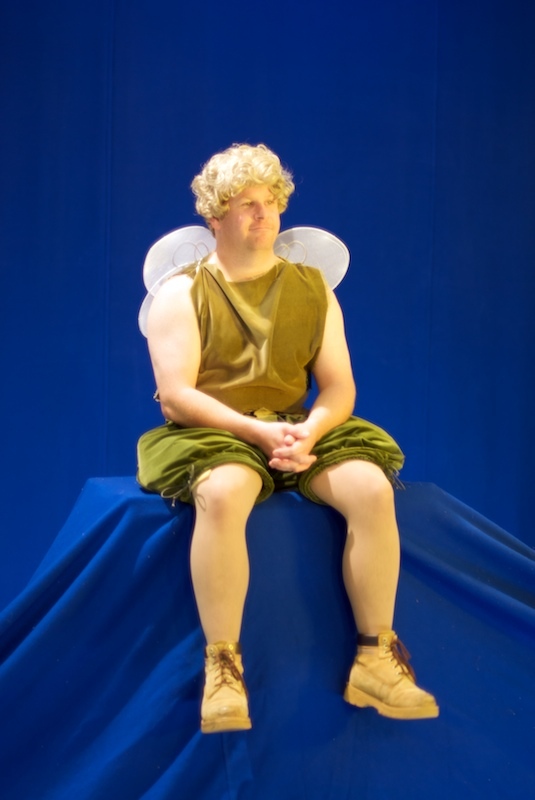 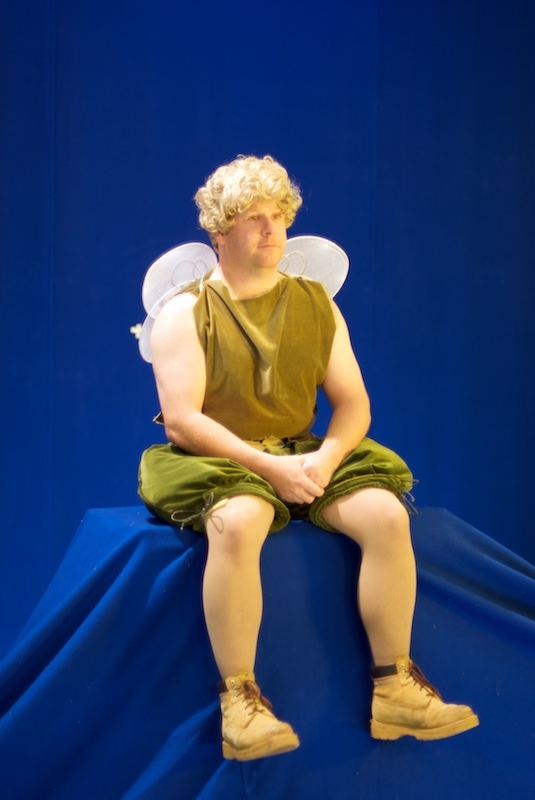 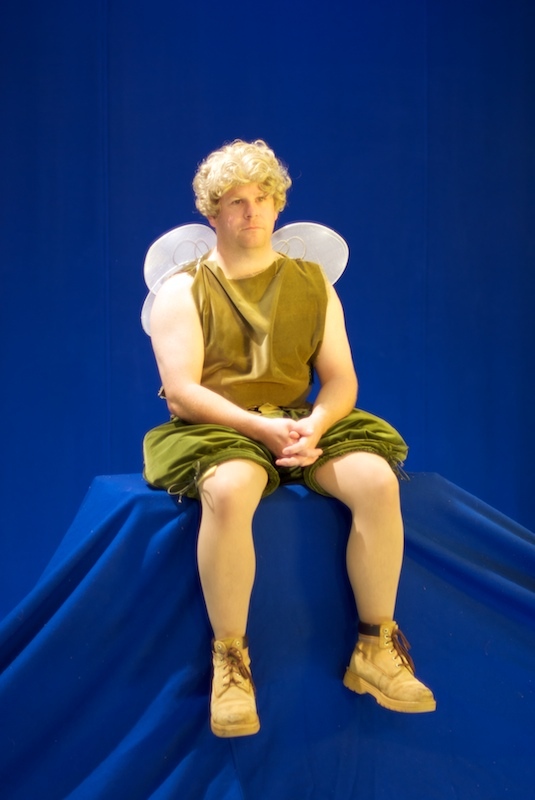 The sets and props designed and overseen by Production Designer Ed Hollingsbee looked great against the enormous deep blue chroma key screen, larger than life, and with bright colours in true pantomime style. 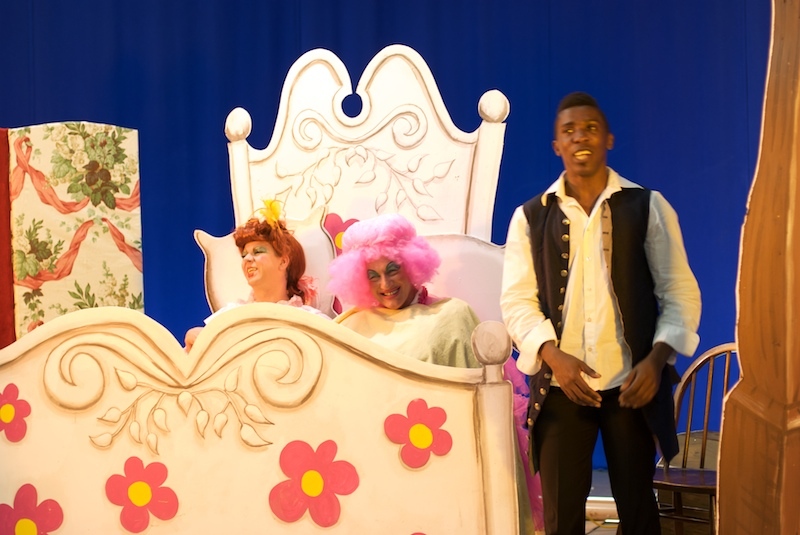 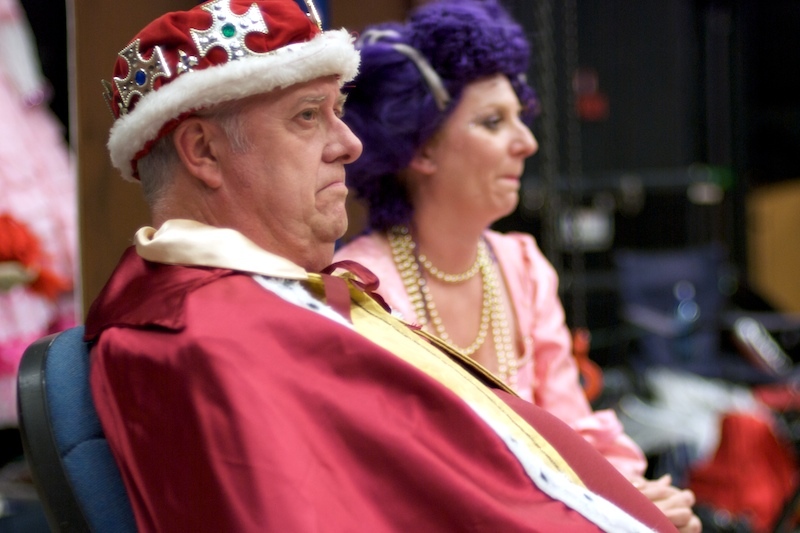 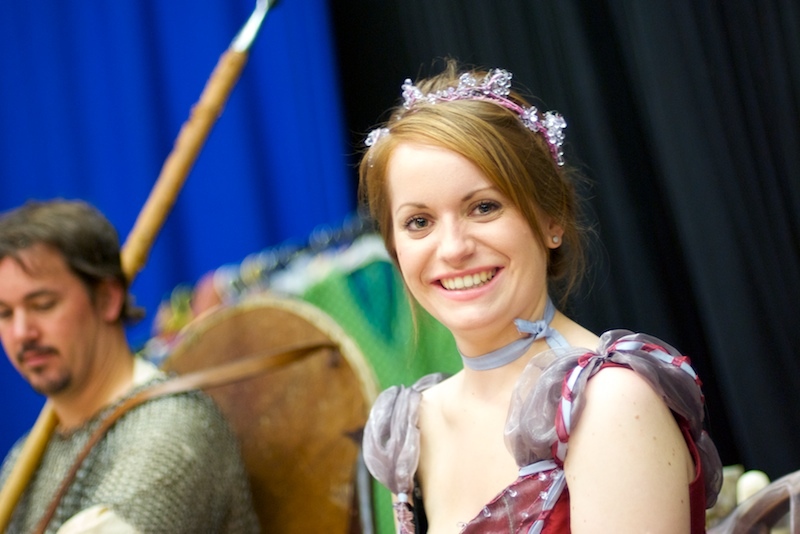 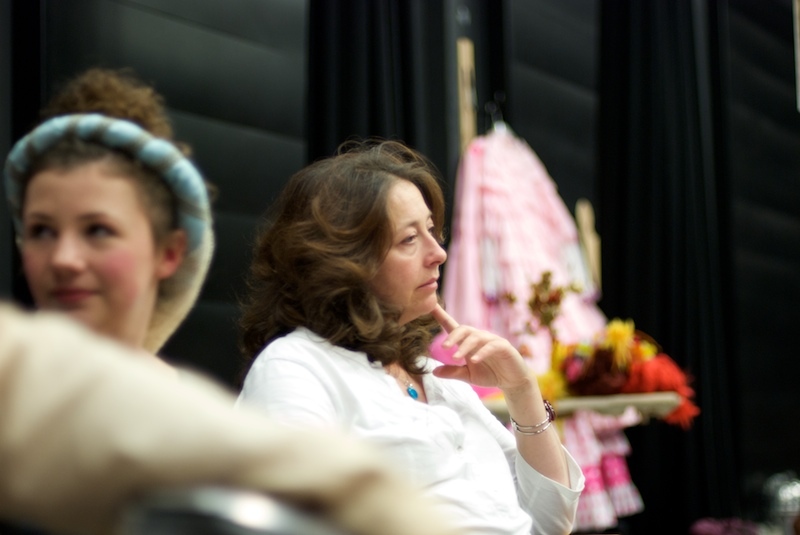 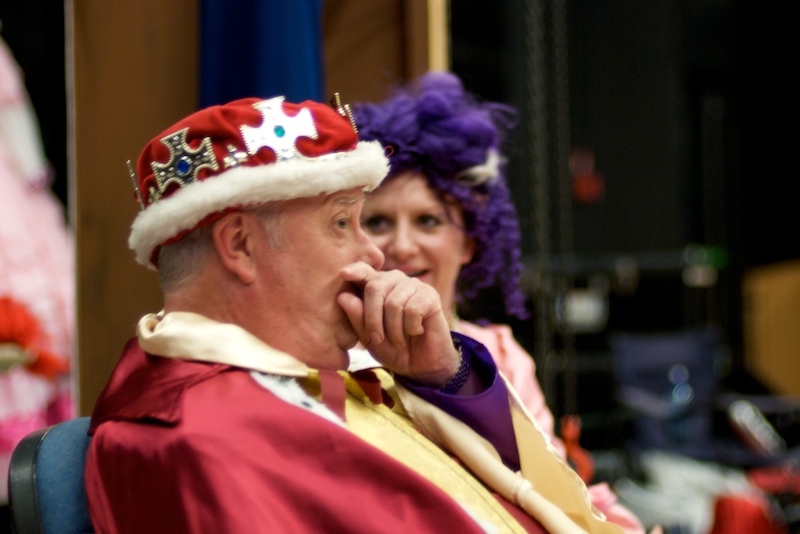 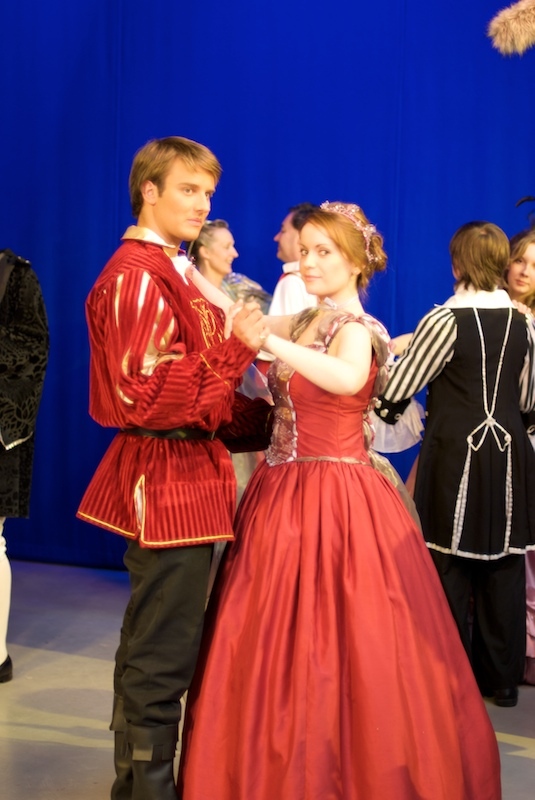 The lavish, fairytale costumes – co-ordinated by Caroline Russell, complimented the sets beautifully. 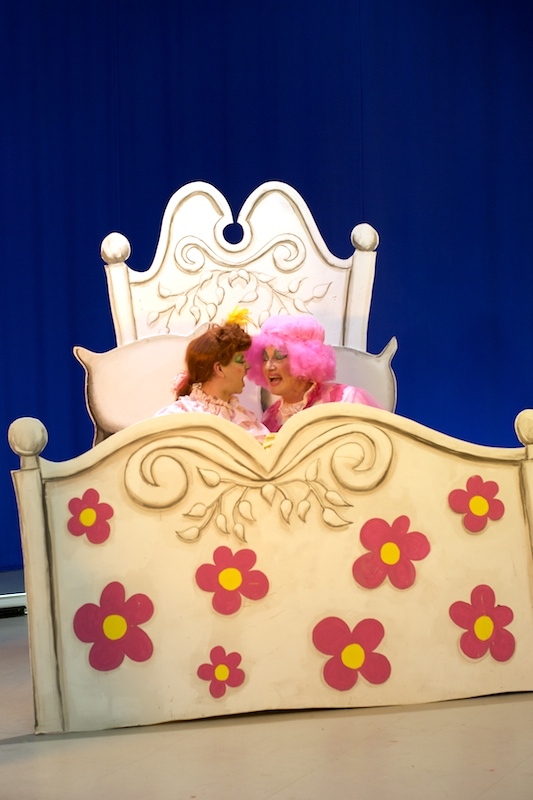 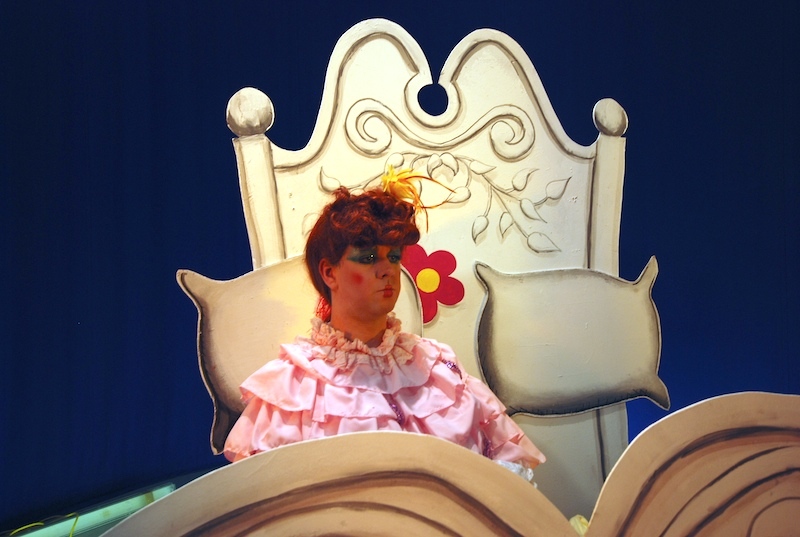 The Ugly sisters, particularly, were a sight to behold! 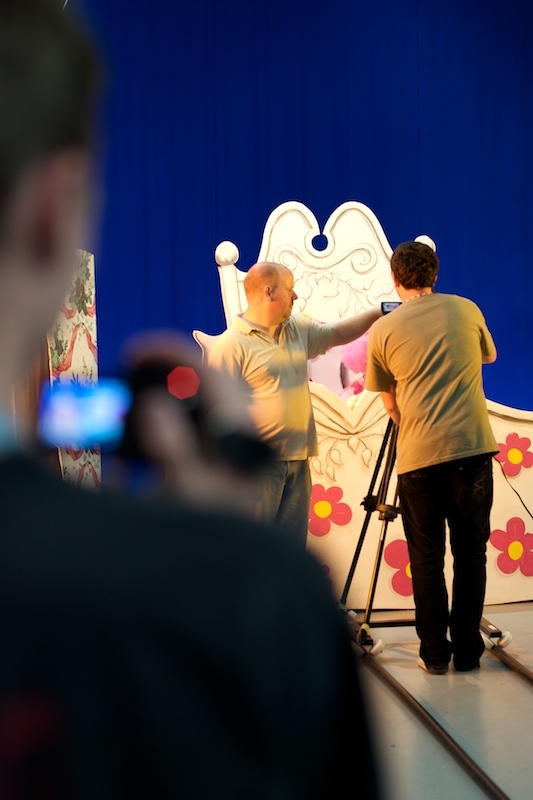 Director and Executive Bully Darren sure had a lot to work with, and Ash, Nick and Lee did a champion job on camera. 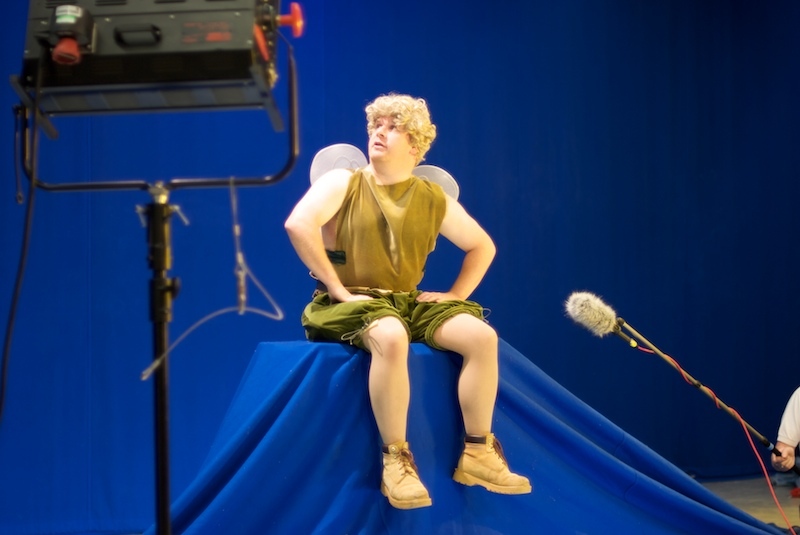 The long weekend culminated with an experimental shoot of Tinkerbloke ‘suspended’ against a fully surrounding blue screen. 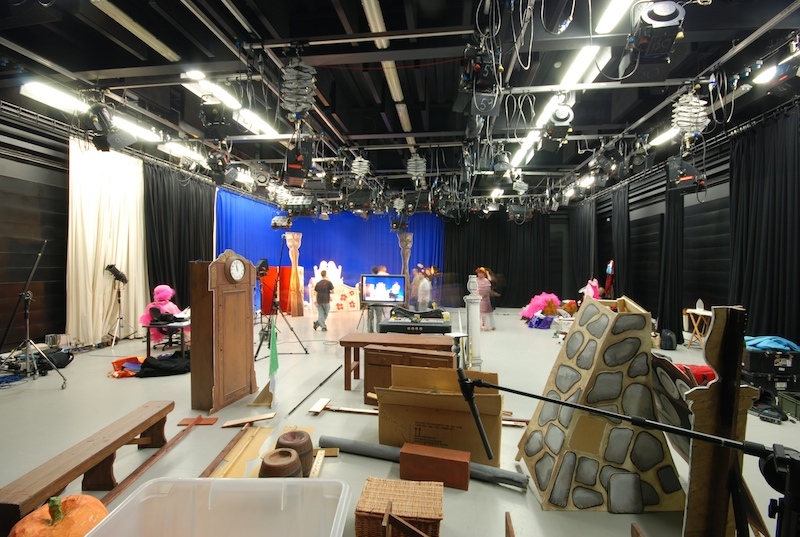 Many thanks to everyone who worked so hard! 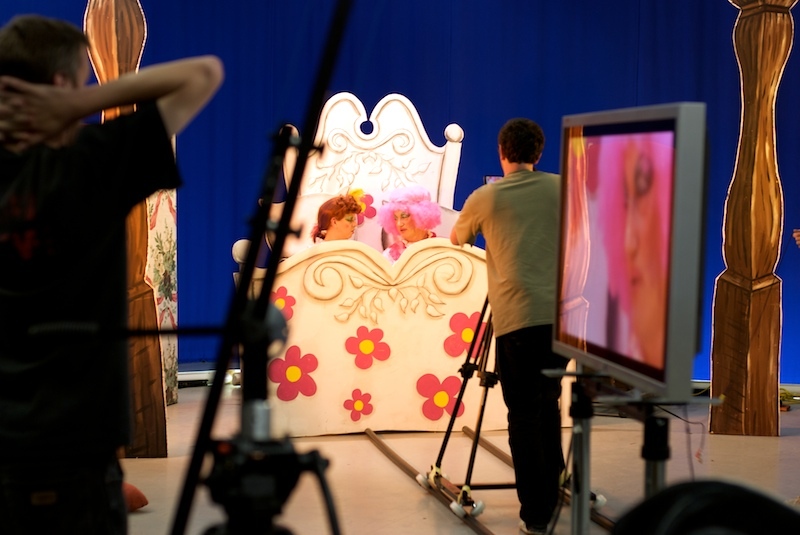 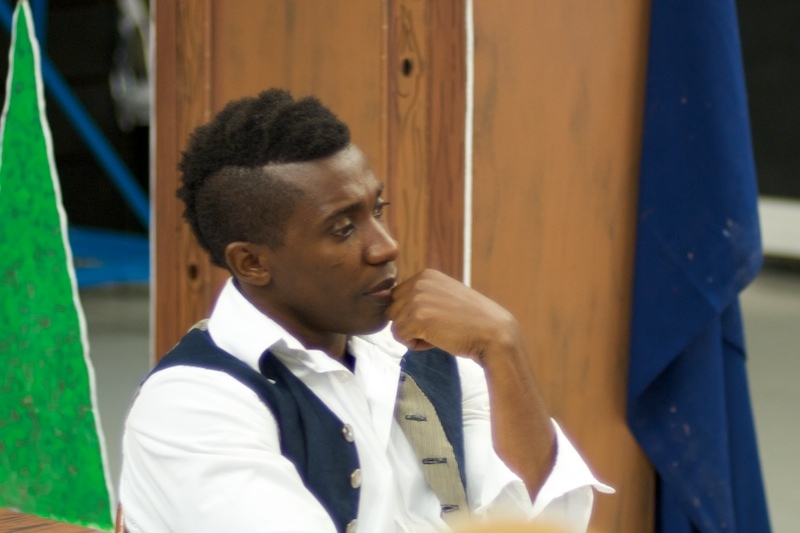 We look forward to seeing the fully composited finished shots in the trailer! 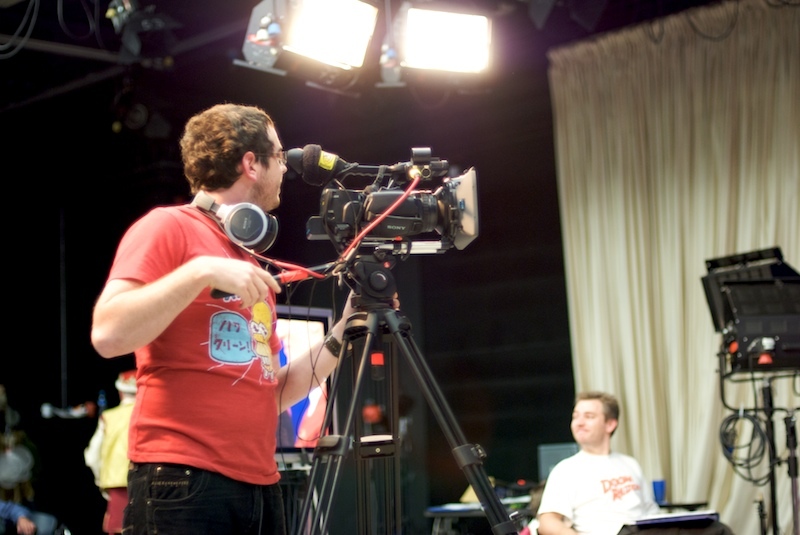 breaking news and site updates by email! 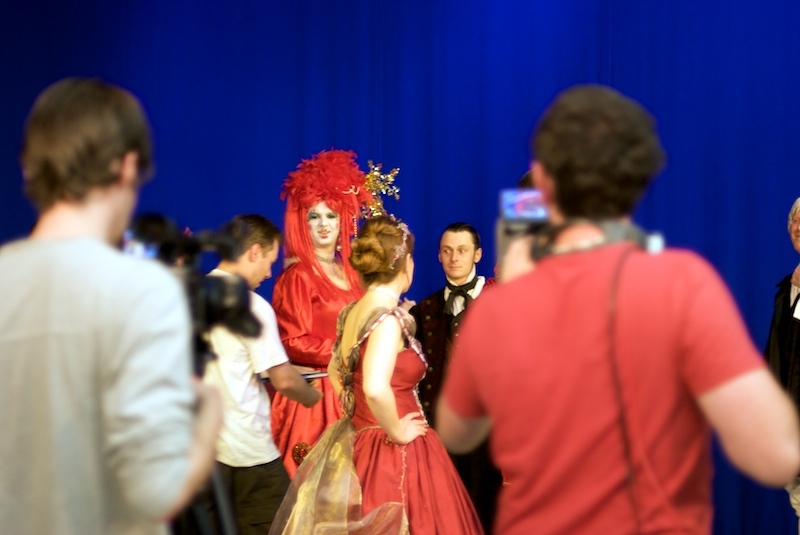 The Drift Movie went to Comic Con Doncaster.